Have you ever wanted to make a copy of an existing page or post withing your wordpress site? WordPress allows you to add plugins to expand the functionality of your website and Duplicate Post is a great plugin that allows you to create copies of your pages and posts. This can be very useful for a number of reasons and its just not possible without this plugin. So download it now here…. This plugin allows to clone a post or page, or edit it as a new draft. Organic SEO is the OG of SEO and is what every lawyer strives for, great organic SEO results producing a ton of free traffic that turn into the next big client. Not as easy as it was when this game first started but still possible. The key is that the lawyers need to WRITE CONTENT and a lot of it. Then they need to create videos, create images and do a lot with social media, that will help improve the organic SEO results for your law firm. SEO can help place your web site among the top search engine results for a particular search, which will lead users looking for your firm’s practice area to your web site. This is a good way to establish your web presence and gain a solid flow of traffic to your site, which can lead to new clients. Each search engine has a different set of rules as to how they rank web sites. Among other things, SEO involves keyword research to find all the possible key phrases people might use to locate your legal web site. Then its a matter of creating the optimized code for each page within the site and optimizing other key elements of the web site to make the site search engine friendly and ready. Once the site is optimized, then its a matter of submitting the site to the top search engines and directories. Obtaining links from other quality web sites is the key to building your site’s Link Popularity score, which is a VERY important factor when search engines such as Google rank your web site. A combination of all these things will get your site listed at the search engines and get people visiting your site. Do you need help with your Legal WordPress Site? WordPress Website Hosting – If you need a new site or have an existing WordPress site, high quality web hosting makes a difference. 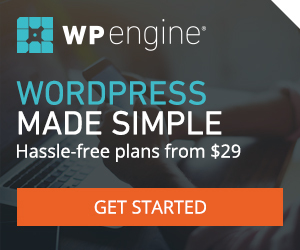 WordPress Security for Lawyers – Is your site secure? We can help make your site bulletproof to keep the hackers at bay. Search Engine Optimization consists of a lot more then setting up a few meta tags like in the good old days. In 2017, you must create a lot of content, create a lot of videos, get social signals, get links from other sites and then do a lot more then that. Its an ongoing thing with SEO but there are certain things that must be done. Below are the top 11 tips for lawyers who want to try and do more with Internet marketing this year. Organic SEO, Local SEO, Video SEO, Social Media Marketing, Content Marketing and Reputation Management are just a few of the things that you must do in 2017. The more content you create, the better your SEO chances will be, simple as that. Its key in 2017 to create longer blog posts that are over 1000 words long and contain images, videos and infographics whenever possible. 1500-2000 word posts are even better.